One of the main elements of the Math Genie program is the focus on visualization. Many sports stars and celebrities attribute their success to visualization of some kind. 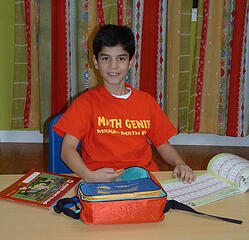 At Math Genie, we use visualization as a tool not only to do complex math mentally, but also as a focusing method. Visualization helps students achieve maximum mental functioning states that are the hallmark of each and every high achiever.